(by Patrice Hill, The Washington Times) – It’s been a rough few years for the coal industry, with President Obama and environmental groups seemingly bent on driving it out of business. But for coal, all the world’s a…market. While Mr. Obama has vowed to keep ratcheting up the regulation of coal-fired power plants in the U.S., forcing hundreds to close, nations from Europe to the Far East are hungry for coal, and their demand is only going to get stronger in the years ahead as more nations turn to coal as a primary source of power. Coal by 2030 will be the most widely used fuel worldwide as developing countries electrify burgeoning cities and rural areas where billions of people have had no or little access to power, according to the International Energy Agency. The U.S., Europe and Japan may debate the merits of coal versus nuclear, natural gas, wind and other cleaner fuels, but for developing countries that have considerably less income and wealth to pay for power projects, those more-expensive sources of power are rarely realistic alternatives. For this vast swath of humanity, coal remains the main or only alternative to improve their lives with a reliable energy source. The door may be shutting on many aging coal-fired power plants in the U.S., but coal has shown a modest revival in Europe and roaring growth in Africa, Asia and the rest of the developing world as it remains the cheapest and most reliable source of power. 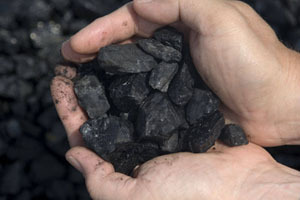 Coal already provides 41 percent of the world’s power and that is set to grow significantly, according to the international agency. In China, coal fuels 80 percent of electric generation, and the country in the past five years has added more coal plants to its grid than the entire fleet of U.S. power generators. China’s appetite for coal is so voracious that it soon will consume more coal each year than the rest of the world combined, according to the U.S. Energy Information Administration. That makes the opportunities for U.S. coal companies — custodians of the world’s largest national coal reserves — seemingly limitless outside U.S. borders. “South Africa is bringing millions out of poverty with a coal-based economy,” said Mr. Clemente, and the world has never experienced such an appetite for coal as seen in Asia’s rising powers. While China is drawing on its own considerable reserves of coal to fuel its power plants, growth there has been so rapid that it also is sucking in imports at a brisk pace. India is second only to China in building coal plants to feed exponential growth in power demand, and even more than China, it must rely heavily on imports to fulfill its large and growing needs. China and India, in turning to coal as their principal means of providing electricity to billions of upwardly mobile citizens, hope to avoid some of the problems with toxic emissions experienced in years past in the West. The power plants they are building today are far cleaner and more efficient than the ones being retired in the U.S., Mr. Clemente said. “By 2015, 50 percent of the world’s most efficient coal power plants will be in China or India” as those nations turn increasingly to coal to satisfy their immense energy needs, he said. Elliott Gue, an energy investment adviser, agrees that reports about the death of coal have been greatly exaggerated in view of the world’s growing demand for electricity and coke, a byproduct of metallurgical coal that is used to make iron and steel. He sees plentiful opportunities for U.S. coal exports, including $1.3 billion a year in exports to China alone if West Coast ports are built to accommodate the traffic. While low natural gas prices are causing a massive switch from coal to natural gas plants in the U.S., sky-high gas prices in Europe are prompting many utilities there to switch back to coal, sending demand for coal soaring by 14 percent last year and creating opportunities for U.S. exporters, he said. All of this is good news for the battered U.S. industry, which has been losing market share rapidly in the U.S. amid plentiful supplies of cheap natural gas to fuel power plants. At its peak, coal provided 53 percent of power supplies in the U.S., but that is down to 42 percent today and the EIA says it will fall to 35 percent by 2040. With an onslaught of U.S. environmental regulations targeting mercury, other toxic emissions and greenhouse gases, U.S. mining companies face daunting challenges to maintain their markets at home, even as the door is opening wide for exports to nearly every other corner of the world. But taking advantage of the export opportunities will require painful restructuring and major logistical changes to address the needs of foreign markets, and the industry has only begun the transition. Alpha Natural Resources, a top U.S. coal-mining firm that is being hit hard by the retirement of U.S. coal plants it supplies, has announced it is repositioning itself to take advantage of the growth potential for metallurgical coal in Asia and South America. Since much of its production heretofore was thermal coal for U.S. power plants, the company is laying off more than 1,000 workers and idling some of its thermal coal mines in Appalachia and Wyoming, according to SNL Energy. Arch Coal, an Appalachian mining firm also heavily affected by coal plant retirements, is restructuring to become a metallurgical and thermal coal supplier to international markets, particularly in South America and Europe, but less so in Asia. To fully take advantage of the export potential in Asia, more port facilities that can handle coal exports must be built, and that is proving difficult as environmental groups – flush with success at reducing the use of coal at home – have vowed to block the export of coal to nations overseas with less stringent environmental regulations. An Australian firm, Ambre Energy, has announced plans to build a pair of coal export terminals in Washington state and Oregon, but is facing fierce environmental opposition. The company needs an estimated $1 billion in financing to construct the facilities but has run into trouble raising the money. Tom Sanzillo, finance director at the Institute for Energy Economics and Financial Analysis, an environmental think tank, said a growth slowdown in China and India last year undermined hopes for increased coal exports and made building ports a risky proposition. But Mr. Gue insists that the future is bright for coal exports once obstacles are cleared away. He also expects coal to remain the biggest source of power in the U.S. generation mix for another couple of decades, despite the mounting environmental and regulatory hurdles that utilities and mining companies face. The National Center For Policy Analysis, a conservative think tank, sees a “long goodbye” for coal in U.S. power generation as natural gas has become the most cost-effective fuel, thanks to hydraulic fracturing techniques that have made gas abundant and cheap. But he cautioned against overreliance on gas, where prices and supplies historically have been volatile. “While the shale gas revolution is a good development, coal should not be abandoned or overregulated given its abundance and stable, inexpensive price,” said center analyst H. Sterling Burnett. Published March 4, 2013 at The Washington Times. Reprinted here February 27, 2014 for educational purposes only. Visit the website at washingtontimes .com.